Wales has a great deal to offer prospective wedding parties. Aside from the stunning scenery, ancient history and amazing architecture, there are more than a few places which really allow couples to ‘think outside the box’. Whatever style of wedding you choose, Wales is here to help, It is also easily accessible and extremely friendly – making it the perfect destination to say, ‘I do’. Here are a few of our favourites. One of Cardiff’s most recent successes, The Exchange Hotel, located in the Cardiff Bay area, was once the Coal Exchange and the centre of the coal trade in Wales. Fortunes were made and lost within the walls of this illustrious building. It is now a luxury hotel, restored to retain its history yet geared towards extreme luxury making it perfect for a glamorous city wedding. Ceremonies are held in the room which was once the trading floor. High above, surrounded by polished carved wood, the exchange’s iconic clock announces that tempus fugit (time flies). This historically important building was saved from demolition and has been brought back to its former glory by a dedicated team of craftsmen turning it into a flagship hotel for the nation’s capital. This extremely exclusive manor house is located in beautiful North Wales and has been home to Lord Langford’s family for over 500 years. Couples can to choose to hold the ceremony within the historic hall itself, or in the pretty and intimate summer house. Following the nuptials, celebrations continue with a marquee reception, allowing guests to fully appreciate the wonderful gardens which surround this 17th-century family home. 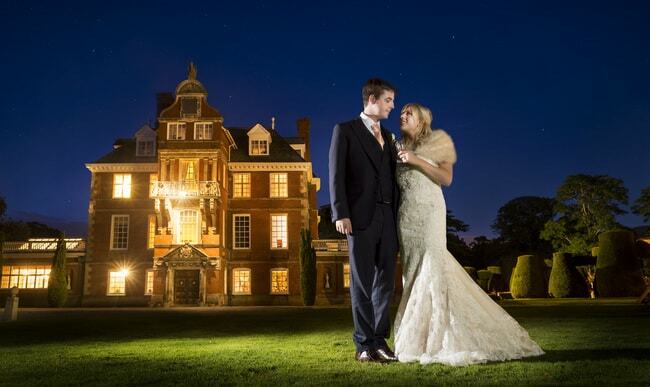 For a traditional stately-home wedding this is the perfect location, as elegant and formal as you would wish it to be. You are sure to impress your guests with this dream venue. For an exceptionally intimate wedding venue look no further than The Kymin Roundhouse which sits proudly on a hilltop overlooking the border town of Monmouth with views stretching to the Malvern Hills and Brecon Beacons. 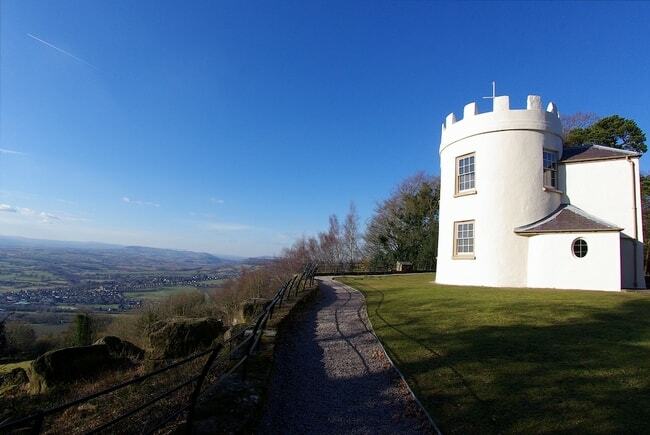 This folly was constructed in the late 18th century and guests have even included Admiral Lord Nelson. Originally built with a kitchen on the lower floor and banqueting room above, it is now in the care of the National Trust and welcomes thousands of visitors every year. Not the place for a large gathering, but perfect for a couple to celebrate with a few, select friends; it is both romantic and idyllic all at once. Set within the county of Caerphilly, north-east of Cardiff, this fortified farmhouse dates from the Elizabethan period and offers an extraordinary wedding venue. The house, which is run as a museum, is a perfect time-capsule. Guides speak in period dialect and dress in period costume, while the trappings of modern life are kept to an absolute minimum. In summer, the gardens are filled with fragrant herbs and traditional flowers, and in winter the house is filled with smell of woodsmoke, oranges and cinnamon. A perfect year-round wedding venue, Llancaiach Fawr takes you straight back to the Tudor period and offers an extremely unique experience. A purpose built function suite in the award winning stone-built visitor centre is large enough to accommodate plenty of guests. 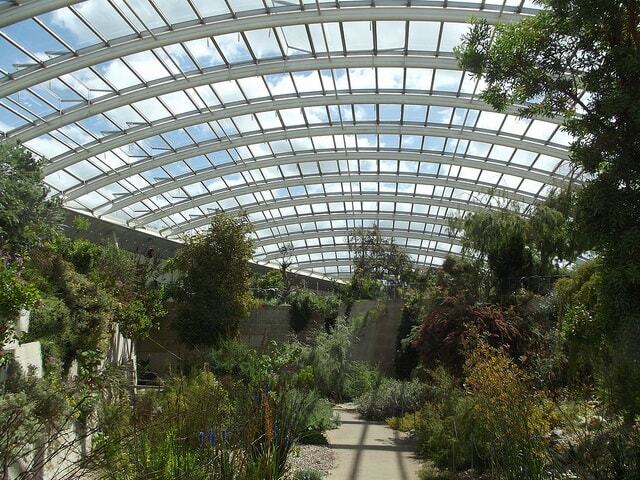 For nature lovers and horticulturalists, what better way to commit to the love of your life than to wed under Sir Norman Foster’s stunning glass dome at the National Botanic Garden of Wales in the heart of Carmarthenshire’s Towy Valley, surrounded by the largest collection of Mediterranean plants in the Northern Hemisphere. The venue accommodates up to 150 guests and, after the ceremony, receptions are held in a marquee with its own bar and private walled patio garden – perfect for those photo calls. Ever dreamt of a fairytale wedding in the ruins of a medieval castle? At Usk Castle this dream becomes reality. A small castle with a huge personalty, there are ivy covered ruins, climbing roses and at night floodlights add to the ethereal quality. An unspoiled setting, but one which caters perfectly for couples, Usk Castle has far-reaching countryside views yet is only minutes from excellent transport links. Privately owned, there is no danger of interruptions as you enjoy you special day in exceptional surroundings. For the eco-friendly couple, how about marrying under a native oak pagoda then heading accross the green fields to a giant tipi made of organic canvas and flax to celebrate the union? Your guests can choose to stay in yurts, eco-pods or even a Romany caravan, as well as on the more conventional campsite. For a real festival feel, Welsh Green Weddings can offer a package tailored to your personal eco-credentials. 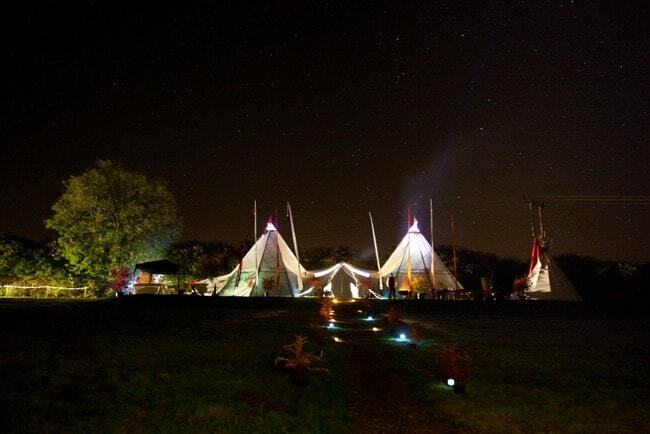 At night, lit up with fairy-lights, the tipi is magical – take to the dance floor and dance the night away under the stars.